Whether you are a home builder, professional, or a commercial builder, these disks with our KSS instruction book and design plans are all you need to build with KSS. Contact us to have a DVD and CD pack sent to you. 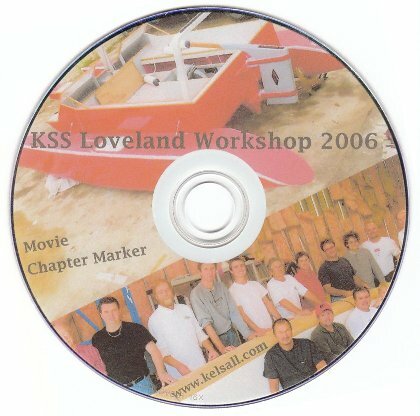 This is our number one selling instructive DVD showing a movie and chapter markers of the Loveland, Colorado Workshop 2006. This is our number one selling CD showing still pictures of KSS building method and boats. For those interested in this practical, economical 27 foot family day sailor. Please contact us to order a KSS Workshop DVD and CD Pack. DVD and CD set: US$25.00. DVD/CD & Study Plan: US$50.00.